If you’re like many course designers, you struggle to find a good way to manage your course assets, including images, characters, and audio and video files. Now, thanks to the new media library feature in Storyline 360, managing your course assets is easier than ever. The media library lets you manage all the assets for your project in one window—without ever leaving Storyline. In addition to giving you a one-stop shop for all your assets, there are tons of great time-saving features built in. Let’s take a closer look at some of my favorites. If you have a bunch of assets already set aside for your course, you can save time by importing them to the media library in Storyline all at once. That way, all your assets are in one convenient spot, so you can quickly add them to your slides as you build your course. Easy-peasy! When you use one asset in multiple places in the same project—for example, a background image—it’s nice to have a way to easily locate all the places it appears. And that’s exactly what the media library does! The media library tracks the number of times you’ve used each asset, as well as the slide and layer where it’s used. You can even jump to each location instantly! Have you ever built out an entire course—only to have your stakeholder tell you they don’t like the character you chose? If so, you know how time-consuming it can be to update your character on every single slide. Thanks to the media library, you can now update course assets once—in the media library—and they’ll be updated automatically wherever they appear in your project, saving you a ton of time. Imagine you’ve inserted a photo into Storyline 360, and then you decide you want to change the background color of the image. With the media library, you can easily find the image, open it in a third-party app, make any necessary edits, and save the updates to Storyline 360 without having to export and reimport the image. It’s super fast and really easy. When you’re working on a team, it can be a challenge to stay coordinated. For example, maybe you’ve already inserted an illustration, but then a co-worker decides to go back and make a few edits. If she thinks you haven’t used it yet, she won’t necessarily let you know that she’s made changes. Luckily, media library lets you know when assets that you’ve inserted into your project have been updated, so you’re sure you always have the most up-to-date version of your assets in your project. When an updated version of an asset is available, you’ll see a little yellow dot next to it in the media library. To re-import the new version, simply click on the button. Amazing! I hope you’re as excited about the media library as I am! And be sure to stay tuned, because there are more new media library features to come. Want to test out the media library for yourself, but don’t have Articulate 360? 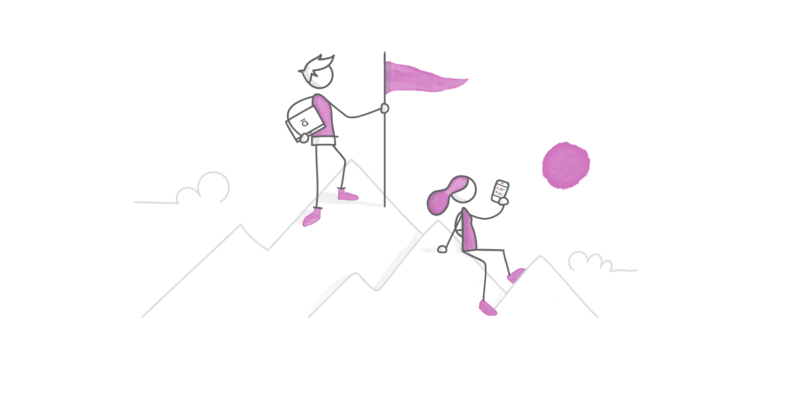 Start a free 60-day trial, and come back to E-Learning Heroes regularly for more helpful advice on everything related to e-learning. If you have any questions, please share them in the comments below. This is an amazing feature and update to Storyline! It's about time! Now, I haven't used Storyline in a while and will get back to it shortly, as I'm focusing on other aspects of the projects I'm working on, but can anybody tell me if it's possible to, say, click on a button to find out where in the File Explorer (in Windows) that image or video file it's saved? Hi Daniel, it's worth checking out! And yes! There is an icon folder you can click and it opens the Windows Explorer folder where the asset lives. This is the most exciting feature yet! And I can't believe it lets you "Edit Assets in Third-Party Apps and Save Changes to Storyline 360" AMAZING work Articulate! I was going to mention that, thanks! This is very convenient, indeed! Fantastic update, I had been waiting for it for a long time! When I click on edit image it opens in Paint, how can I change it to open in Photoshop? Hi Javi, When you click on Edit, a drop-down menu should appear where you can select the app you want to open it in. Is that not happening for you? No, it's not happening. Clicking opens to me directly in Paint. Indeed a nice feature for working with storyline, anything interesting happening for Rise in this area? Also, can the library storage be set to be online/cloud cms? Hi Hakan, I can't speak to whether or not this type of feature will be available in Rise one day, but if it's something you'd like to see I'd encourage you to submit a feature request: https://articulate.com/support/contact/feature-request To answer your other question, there's no option for the library to be stored in the cloud. It's stored directly in the project file. I am really excited about this one. Question - Will this tool, by chance, provide a way to "download" all the images from the storyline file to lets say an "images" file on a PC? Thats is going to be very helpful! Thanks! Keep up the great work! Whoah! This feature has already helped me streamline my development process by using Photoshop to edit! Wooot wooot! I like that it keeps track of changes and show the yellow dot and the option to reimport a file. I think it would be helpful if I can select more than one file and reimport them all. For example when I change the audios in my courses I have to reimport each file seperately. It looks like Storyline detects newer Version with the same file nam by comparing the modified date? So the same thing would work for bulk updated files. Just select more than one "yellow dot" file and click reimport? But I also like your Idea to make a manual bulk update - I will think about that and write it in a feature request. That's great news! I'm glad to hear Articulate is listening to it's community and making excellent additions. Maybe next we will have the ability to reposition images in Rise? We're always listening :) If you have time to log a feature request and tell us more about your specific image repositioning needs, that would be super helpful: https://articulate.com/support/contact/feature-request Thanks! Hi Daniel i've found a workaround. Add the Media library to the Quick Access Toolbar. Now you can access it with the alt key and a number for the corresponding place in the Quick Access Toolbar menu. That's a great tip, Mark! Thanks for sharing. This is EXCITING news! I've always wanted this feature and and am glad that Articulate implemented it in an effective, efficient, way!